Abbas Akhavan uses a variety of mediums, including site-specific ephemeral installations, drawing, video and performance, as a means for investigating the domestic sphere. 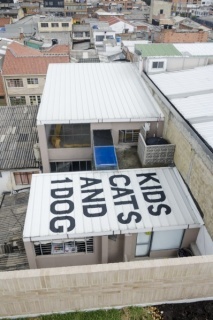 The space of the home, presented by Akhavan as one between hospitality and hostility, has been an ongoing concern for the artist, visible in his series Correspondences from 2008. This series combined methods of communication with weapons of violence- a taxidermied pigeon tied to a brick, for instance, could represent the capacity of each element to carry a message. More recent works have shifted focus onto spaces just beyond the home, including the garden, the backyard and other domesticated landscapes. 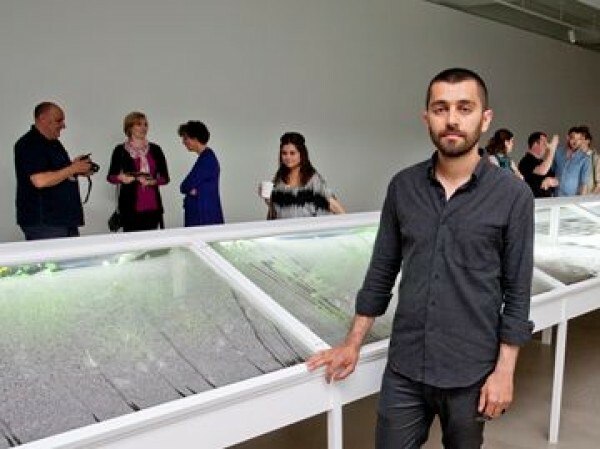 A graduate of the MFA program at the University of British Columbia in 2006, Akhavan has participated in numerous group, two-person and solo exhibitions since in Canada and abroad, including shows at the Western Front in Vancouver; the Delfina Foundation in London; the Bergen Museum in Norway; and ABC Art Berlin Contemporary. In 2012, Akhavan received the Kunstpreis Berlin and in 2014 he was awarded the Abraaj Group Art Prize.